Rita accelerates riders from 0 to 62mph in 2.5 seconds in an attempt to escape the clutches of the Dark Forest. Unlike traditional rollercoasters, Rita does not begin with a lift hill but instead powers her trains down a launch track, accelerating them from 0 to 62mph (100km/h) in 2.5 seconds. From there, the trains continue through a series of swooping curves and over airtime hills around the Dark Forest. The ride's full title was originally Rita: Queen of Speed, and it had a racing theme. This never sat particularly well within the area which at the time was themed as the prehistoric Ug Land. With the removal of Corkscrew and the subsequent opening of Th13teen, the area was rethemed as the Dark Forest. 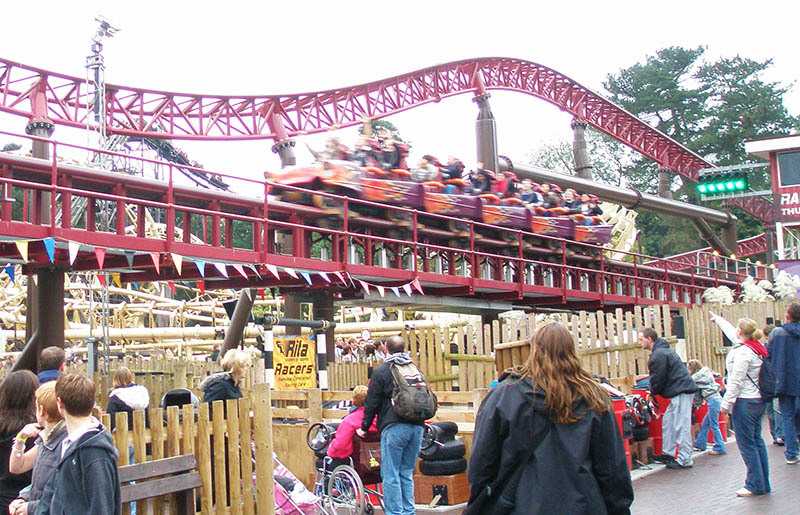 Rita lost her "Queen of Speed" title and was given a darker paint scheme as the rollercoaster was taken over by the sinister forest forces. Even so, today the ride theme still does not fit particularly naturally within the Dark Forest. The highlight of the rollercoaster must be the launch which, although not as powerful as some, gives a good kick and a feeling of speed. There are also some good moments of airtime over the various hills. Unfortunately, in common with many similar style Intamin coasters, the ride is a little bumpy and spends most of its time vibrating around the track. With a name like Rita, the opportunities for innuendo are almost endless, including the obvious "I'm off for a ride on Rita", "Rita's a bit rough", etc. Alton Towers' marketing department trumped all this when it went into full swing for the wedding of Prince Charles and Camilla in April 2005, renaming Rita for the day as "Camilla: Queen of Speed" and allowing for a whole new set of double entendres.